Interfor Usa Group - Interfor Usa Group Inc. Welcome to the Internet site of Interfor Usa Group Inc.
Interfor Usa Group Inc. is a company specialized in the manufacturing of tactical firearms and equipment, founded by firearms enthusiasts and professionals for the satisfaction of all legal firearms and accessories/parts for the needs of the law abiding citizen worldwide. 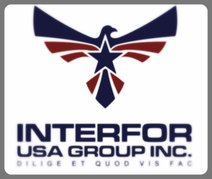 Please go to our ABOUT US page to read about Interfor Usa Group founders and IMPORT EXPORT - HOW TO page to get a guide onhow to legally export firearms from the USA to your country with our collaboration. Also read our AIRSOFT - AIRGUN - TRAINING page regarding firearms training with airsoft replica guns for the most realistic training system today available on the market at a reasonable cost for all legal gun owners. Mr. Ken Eaton of Eaton Personal Defense test fires our Cetme K 7,62 rifle. This gun is built fro a Cetme parts kit, our receiver and a RCM 14.5 mm. G3K barrel. This is the only G3K style clone available on the US market at an affordable price. Look for more pictures in our STORE.